South Riding Real Estate is our forte. Our team is dedicated to making the buying and selling of South Riding real estate in Northern Virginia a satisfying and rewarding experience. 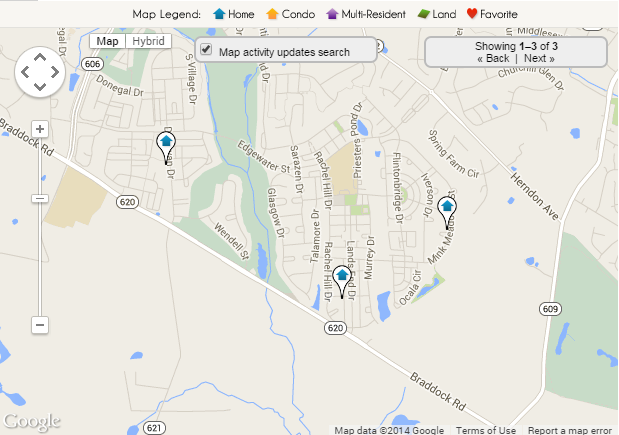 Our website allows you to search all active South Riding homes, townhomes, & condos. This site is easy to use and navigate through property searches to find the most accurate information available. You can also save searches and get daily email alerts of new listings as they become available. South Riding is a community in Loudoun County that formed fairly recently in the mid 1990's. When you are searching for South Riding real estate, know that this community was formed as a desirable place to raise a family in the Northern Virginia area. If you are interested in Golf, then you need to stop over at the South Riding Golf Club which was recently been named at a top 100 golf course in the mid-Atlantic region. Use the above search tool to find some great South Riding homes for sale.